Let’s have a conversation about windows. We ordered ours for the Heights House many months ago but I wanted to wait until they were all installed before sharing our experience. So many of you have been asking for details, so I decided to put together a shopping guide with everything we’ve learned throughout this process, as window shopping can be overwhelming! 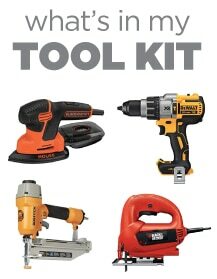 As many of you know, I’ve been working with Lowe’s on several projects over the past year. They’ve been especially involved after the fire, generously offering their support to help with the rebuild. We had already selected our windows before they stepped in as a sponsor, and today I want to share what went into those decisions and lessons learned. But steel windows are mega expensive and would have to be custom fabricated, so that was out. 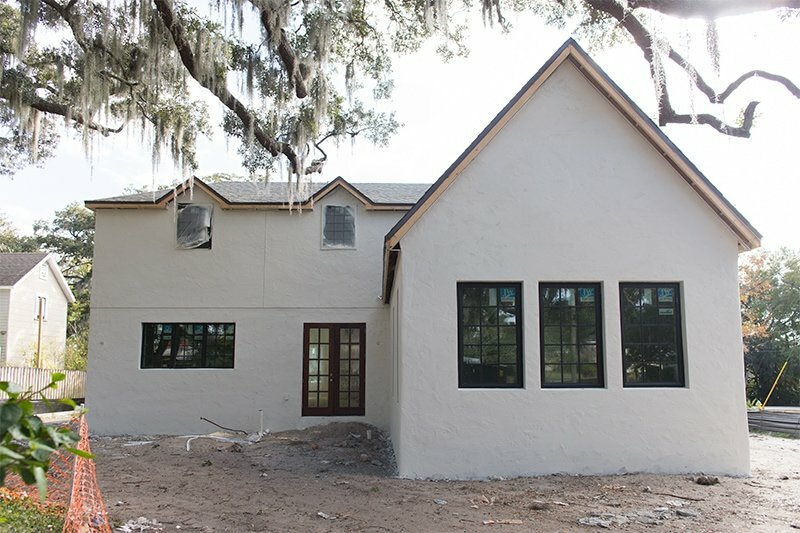 The closest we were able to get to the look we wanted (that passed strict Florida building code and didn’t cost half as much as the house) were special order Jeld-Wen windows. We decided to make our windows a priority as much as possible and cut back in other areas. 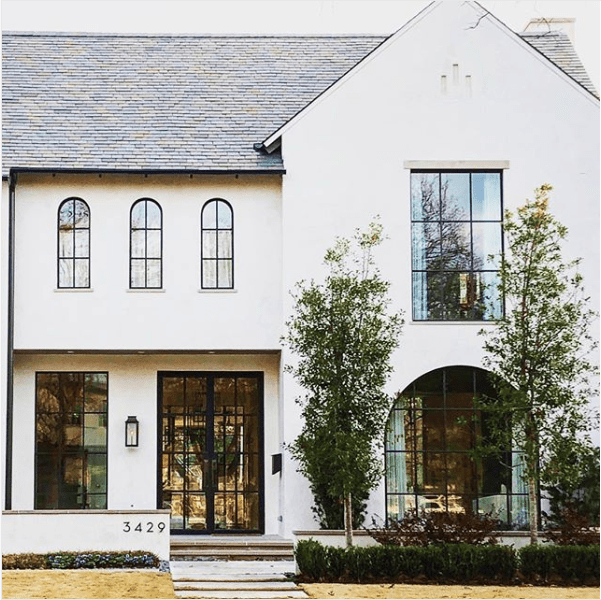 I think you should splurge for the best windows you can afford, since those aren’t something you can easily change out later and they make such a big impact. 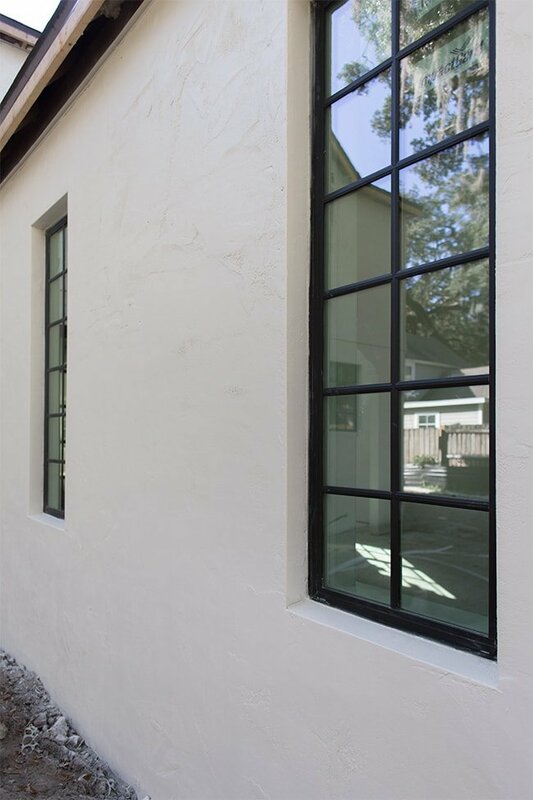 All of the windows have a “bronze” exterior and white interior—note that “bronze” in our case actually means black. 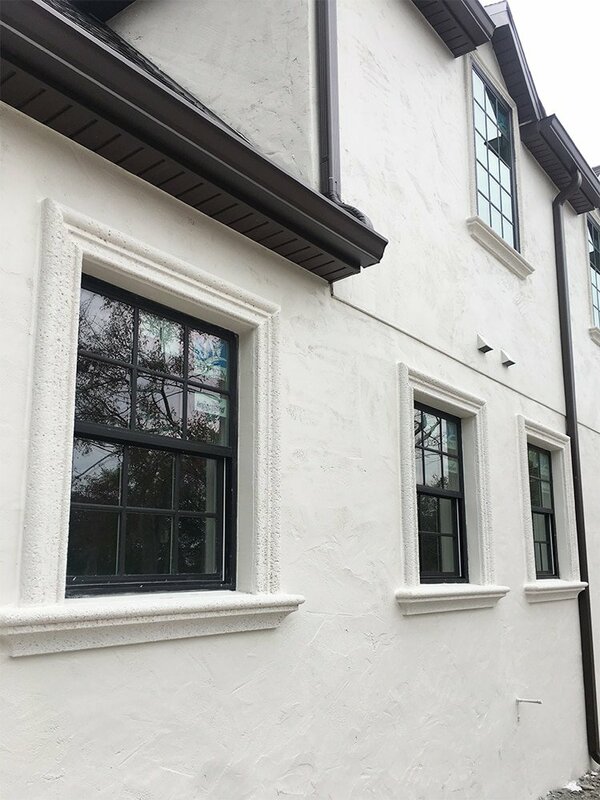 With this line of windows you can choose either black or white (or beige) for both interior and exterior, which was a must for us! 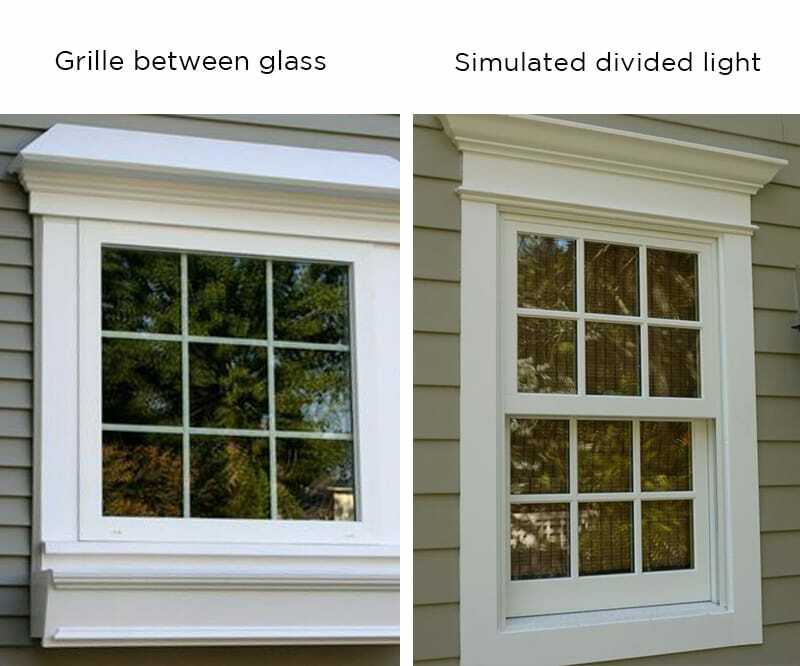 All of our windows have the ‘colonial’ grille style (most with two vertical bars) and they’re all simulated divided lights—which means the grids are on the exterior of the window so it looks more like traditional windows with individual panes of glass, instead of the grids in between the glass. I believe the SDL style is a bit more expensive, but I don’t care—this is a non-negotiable feature to me. I think the difference is night and day. With the grille between glass, you can’t even see the lines in certain lighting. This makes them easier to clean, but definitely not worth the tradeoff IMO. Another thing to keep in mind: you can always paint SDL windows (using vinyl-safe paint and primer) if you decide to change the color in the future, but with the GBG, you’re stuck with that color! We had the option to customize the number of grids or ‘lites’, and I considered going with a more modern look with just one vertical divider (a slightly higher cost), but in the end we stuck with the more traditional style of 3×4 or 3×5 lites. 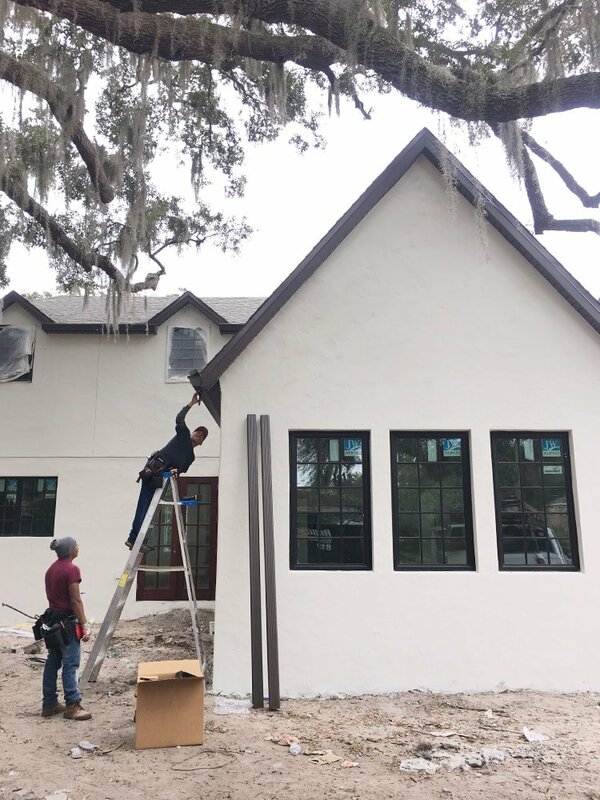 Here in central Florida, new builds are required to use special impact resistant glass and low emission tint, so Jeld-Wen’s ‘premium atlantic vinyl‘ line was the only option. I love the look of wood and metal, but vinyl seems to be the standard these days, and I’ll take the energy efficiency. Fixed: Windows that don’t open. These are arguably the best looking with slim frames and no hardware, and they’re also the least expensive. 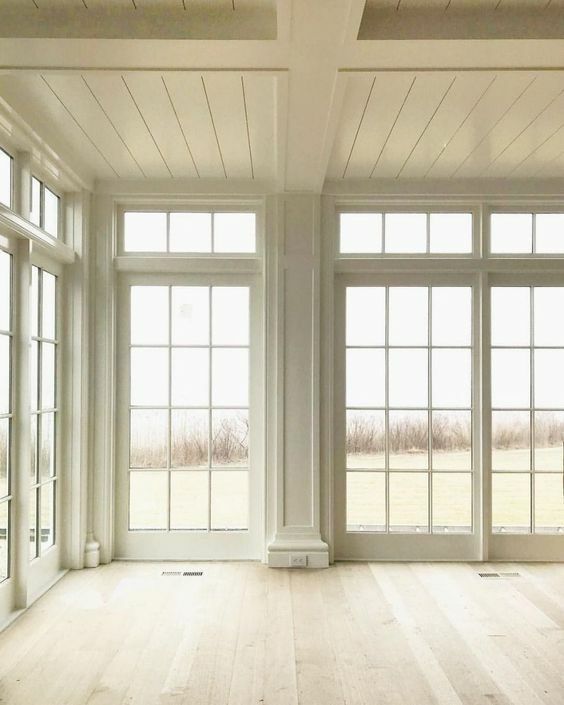 By code, you have to have at least one window that opens in every room (large enough to use as an emergency escape), which limits the amount of fixed windows you can have. 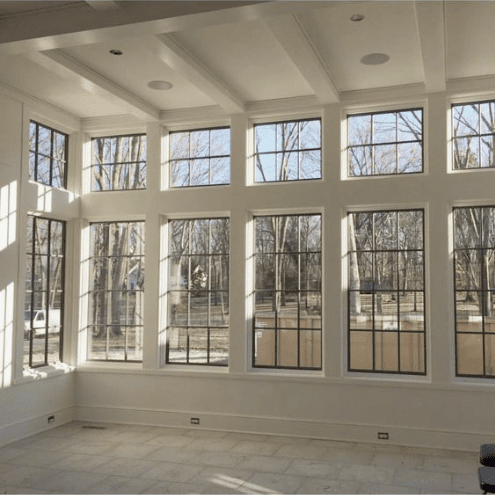 Single hung: This is the most popular style of window used today, where the top half of the window is stationary and the bottom opens vertically upwards. It’s the most economical type of functioning window, but it also doesn’t look as streamlined with the window split into two sections. Double hung is the same idea, except both the top and bottom are moveable. Casement: These are windows that open outward as one single unit on a hinge. They’re common on older homes (our current 1940’s house has all the original casement windows) and have a thicker frame. They’re the most expensive of the bunch, but they have a uniform look like fixed windows. We knew absolutely nothing about windows going into this, so it took weeks of back and forth with our architect trying to figure out what was required by code, getting quotes on all the different types and sizes from Lowe’s to see what was in our budget, and researching online to determine our best options. Jeld-Wen was a more economical choice than Pella, and the product lines were essentially the same for what we needed so it was an easy choice. We used casement and fixed in the more visible/used spaces like the living room, kitchen and bedrooms, and opted for the more economical single hung in the bathrooms and laundry room on the sides of the house. 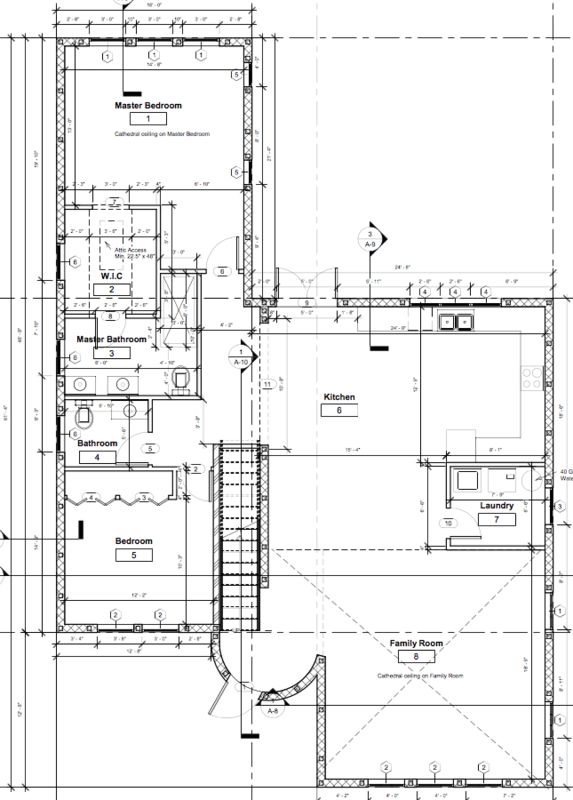 Below you can see the visual difference of the single hung windows on the first floor, and casement on the second. 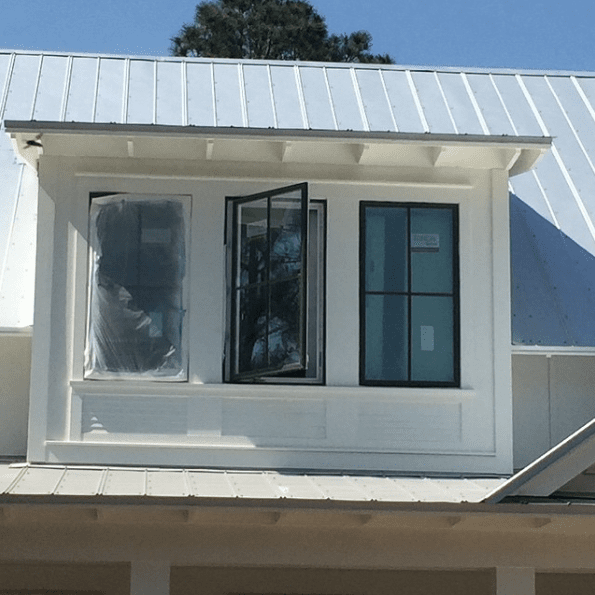 One thing we learned was that if you are only adding/replacing a few windows, there is a lot more flexibility in what you can choose since you don’t have to follow the new construction code requirements. 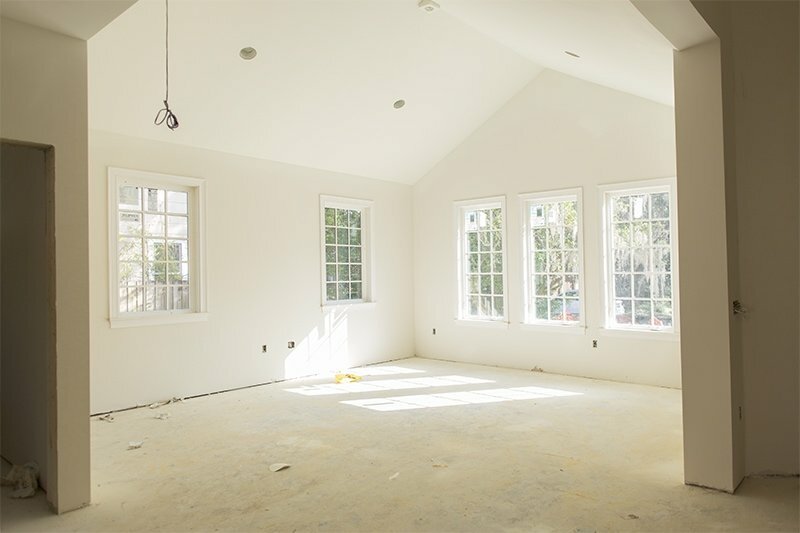 However if you’re replacing a certain percentage of the windows in your home, you’ll need to follow the new build code guidelines. Your Lowe’s associate will be able to explain what is required for your situation. They can also take care of the installation so you won’t have to coordinate or worry about any of it! I normally use them for bigger installs, but our builder already had his crews set up to do everything at the new build. It’s a lot to take in, but fortunately you don’t have to worry about most of it. Lowe’s will know what to input and the majority is technical information around code requirements. I’ll point out a few other things that you may want to be aware of before going in and double check on your own before the order is submitted. 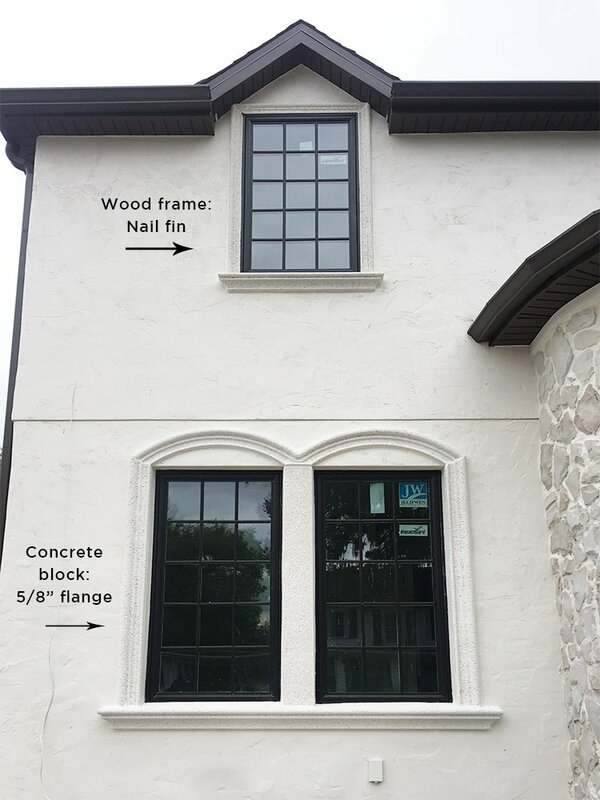 Frame type: If your house is wood frame, your windows will need to have a Nail Fin frame. If your house is block/concrete construction, you’ll need a 5/8-in flange frame. Our first story is block, and the second story is wood frame, so we had to be extremely diligent in triple checking the order since we had some of the same size/type windows on both stories. 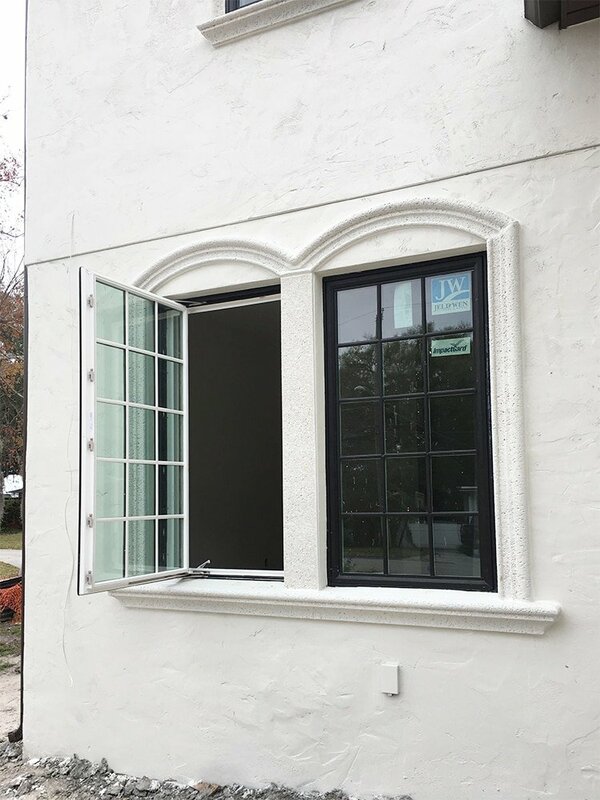 Our order was submitted correctly, but unfortunately we still ended up with one window that had the wrong frame type and couldn’t be installed. Fortunately, Jeld-Wen was able to expedite a replacement window and all is well! 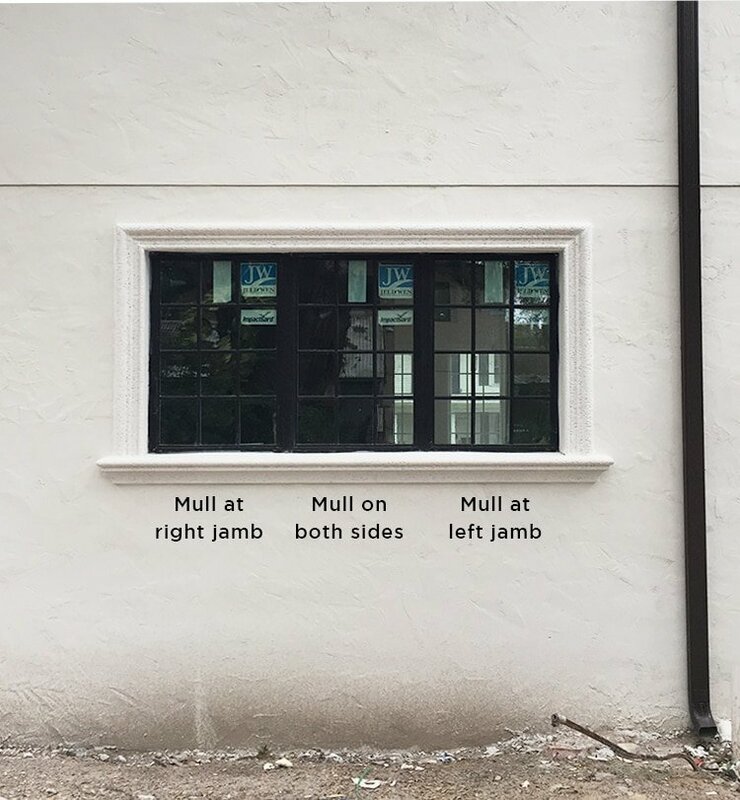 Prep for Mull: Mulling is when you join multiple windows together, rather than framing them out individually. 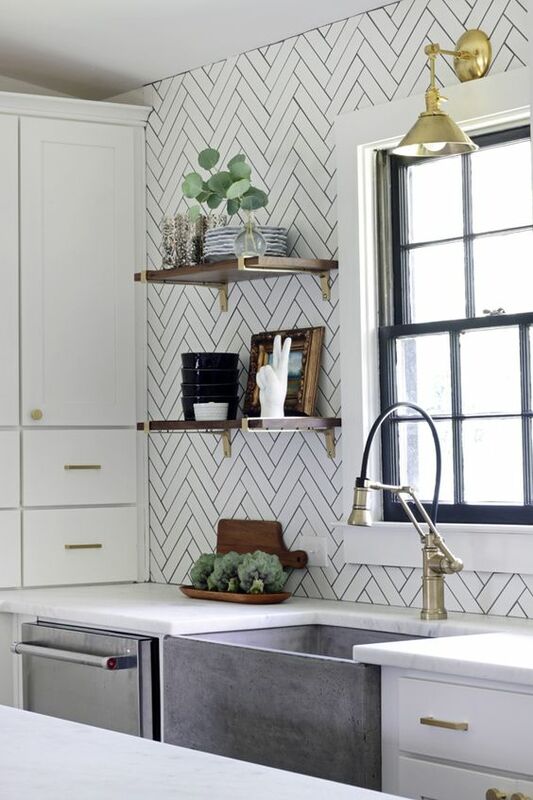 We decided to mull three windows together over our kitchen sink to give the illusion of one larger window. Windows that will be mulled need to be prepped at the factory first, and that is indicated by “Prep at Left/Right jamb” on the order sheet. 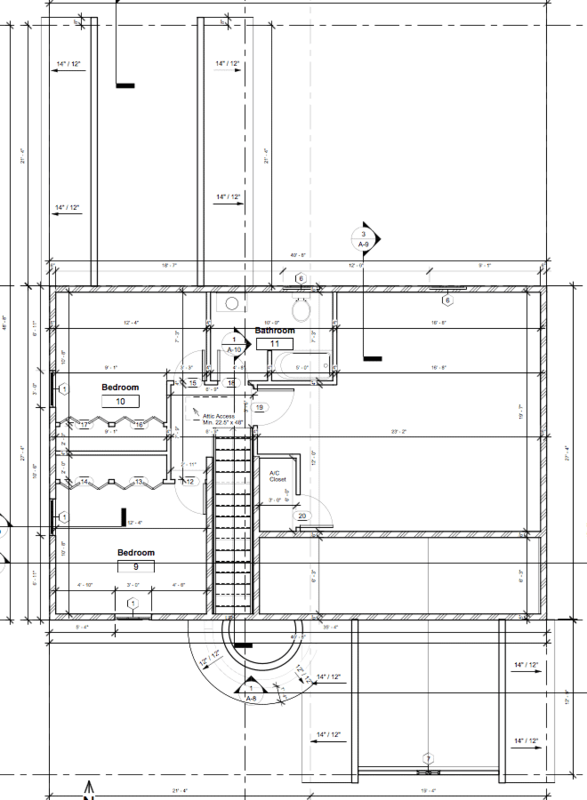 When I put in the request, I was visualizing the windows from standing inside the kitchen, and later learned that the left/right side is indicated from standing outside. Oops. Luckily, Jeld-Wen came through again with an expedited replacement, and now you can learn from my mistake! 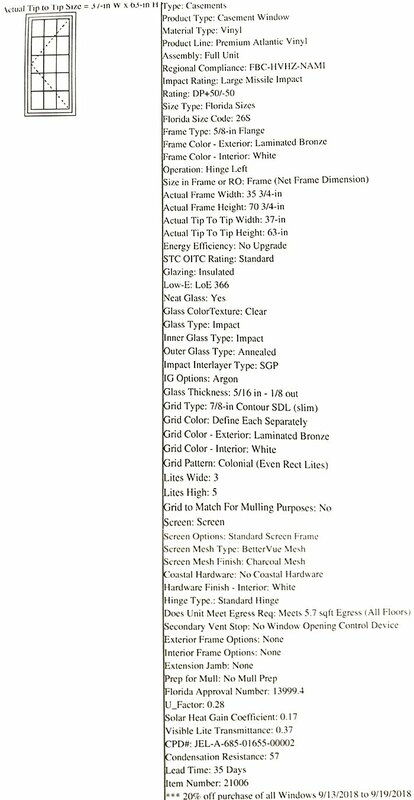 Glass type: There are several options for glass type including tinted, textured or adding decorative inserts. This could be useful in a bathroom window where there isn’t enough privacy, though we chose to keep all of ours clear for consistency. 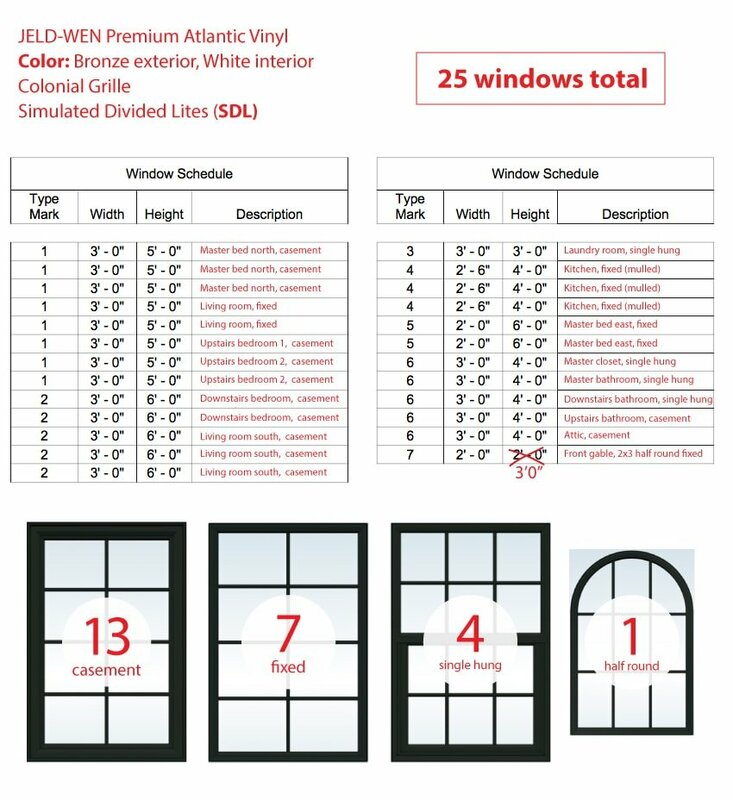 Note that there are a handful of other choices to be made such as screen type, window lock hardware, custom window shapes—and the variety of options really opens up with wood and aluminum frames. I plan to hang light curtains in front of the larger windows so the black grids will pop and not fade into the background of a dark room like they do now 🙂 I think it will all really come together once we put the finishing touches on. Speaking of finishing, we have so much to catch up on! 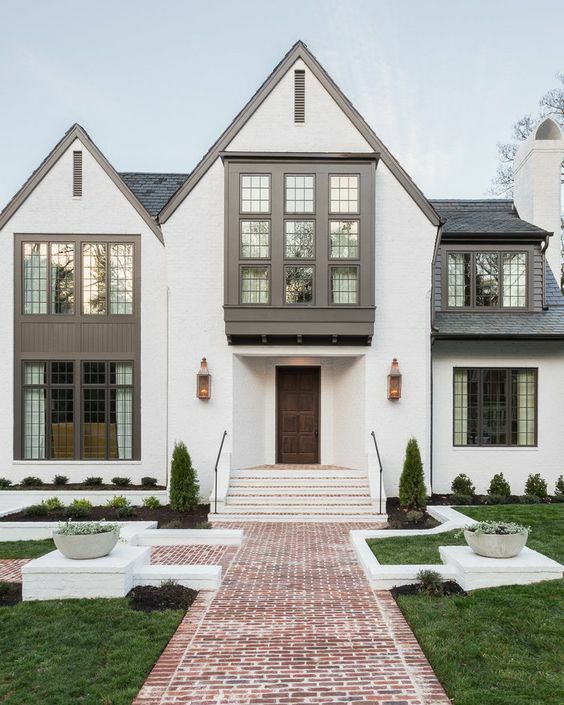 New flooring, gutters, exterior window trim, exterior stone work, paint colors… you caught a glimpse of some of these in today’s blog post, and if you follow my Instagram stories, you’ve seen it all in real-time. Don’t worry if you missed it—I’m working on another blog post + vlog update and will share all the details with you guys next week. Wow, the house looks so pretty. It’s really coming along. Wednesdays are some of my favorite days as I know you’ll have lots of great updates. Nice job. Thank you so much for taking the time to share all of this information. I learned a lot! So happy to hear that, Jenny! Your home is looking so awesome ! * I will use your links when purchase time comes. Really informative post. I agree with you that windows are the place to splurge. We will cut corners wherever we can to afford good windows. Your place is looking so, so beautiful! I love the light! Thank you so much for sharing your build. I look forward to Wednesdays! When you talk about potentially painting the vinyl windows later, is this something you’ve had experience with? We’re considering doing the same but it’s hard to find information on if it’s something easy to do. !!!!!!!!!!!!!!!! So beautiful! I am saving this post ! We are redoing the windows in our house this summer so this is really helpful! Thank you! Love the windows Jenna!!! Perfect idea to do black outside and white in. Excited for next update! Thank you for all the details! 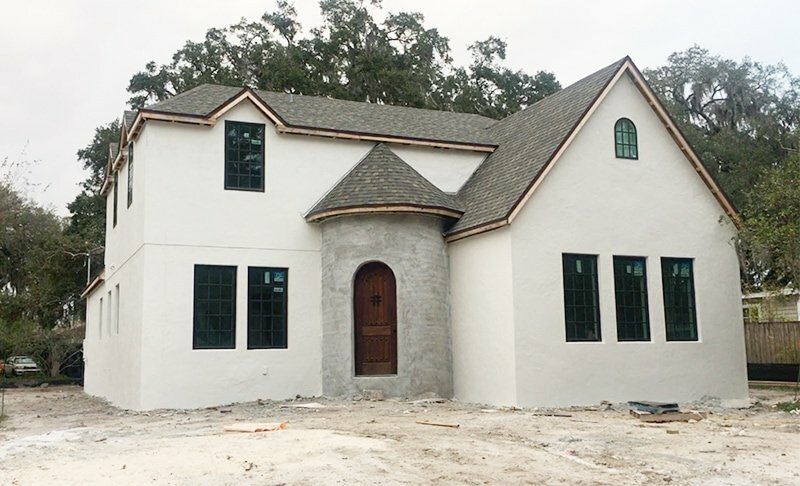 This house is going to be stunning. And I agree that white on the inside offers so many possibilities. 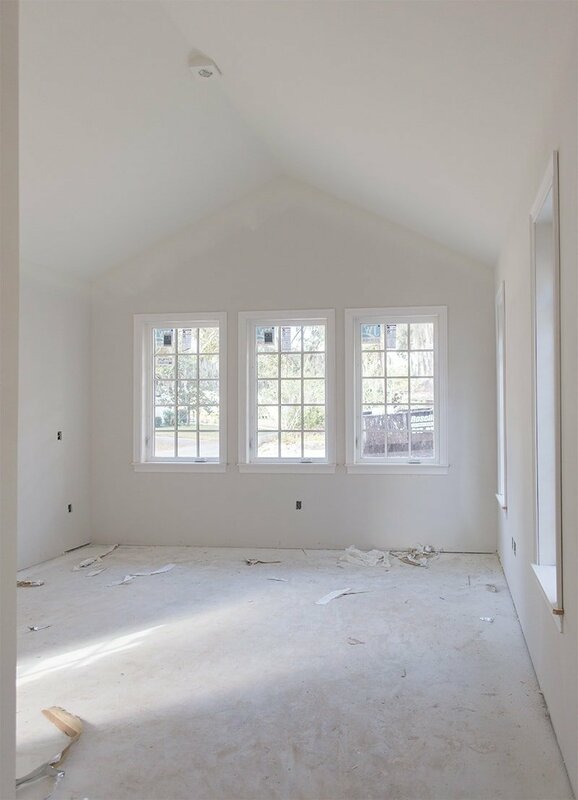 Question: with the single hung windows, are there any parts where you see black on the inside, or white on the outside? I don’t see it when they are closed, but might be missing something… If not, is there when they are open? We installed a dual-colour patio door a couple of summers ago, and it is essentially a side-ways single hung. There is a bunch of the exterior colour on the inside (even when the door is closed, and especially when it is open — ie. the inside of the screen is the exterior colour vs. the interior colour). I was horrified when I saw the door, but my contractor kept telling me “there was no other way” for it to be dual colour. *I* can think of ways to divide the colour better (ie. painting the inside of the screen frame the *interior* colour! )… but am wondering if there is some truth to what he said or not? 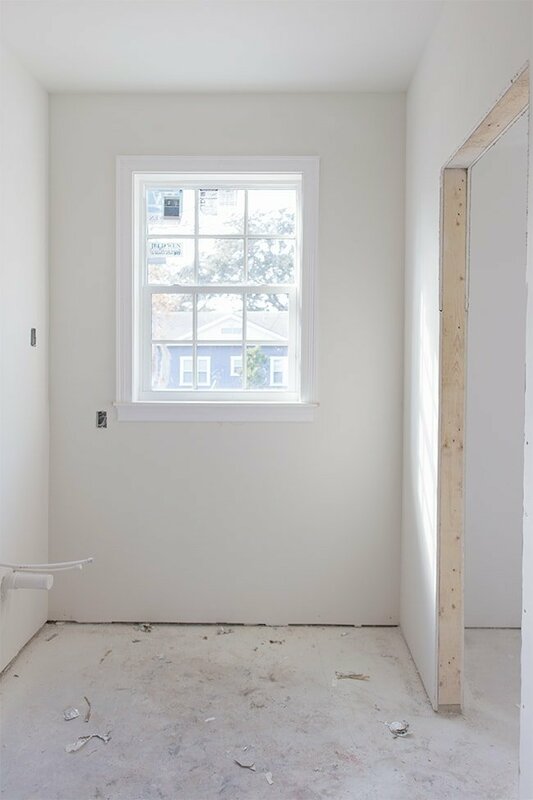 I’ve honestly not noticed that with our single hung windows, so I just went back to the photo of them in the blog post and it looks like you can see a sliver of white at the bottom from an angle. It’s not something that caught my eye in person though. Because the grids stick out, from the right angle you can see the white on the inside too on all of the windows. I don’t see any black from the inside though (you can see a photo of an interior single hung in the post as well). Hope this helps! Thank you for sharing this post! I didn’t know we had these much of options. I think this is really informative for all. Will definitely share with my friends. I just love your home. It’s simply superb!! Haha, that’s too funny! 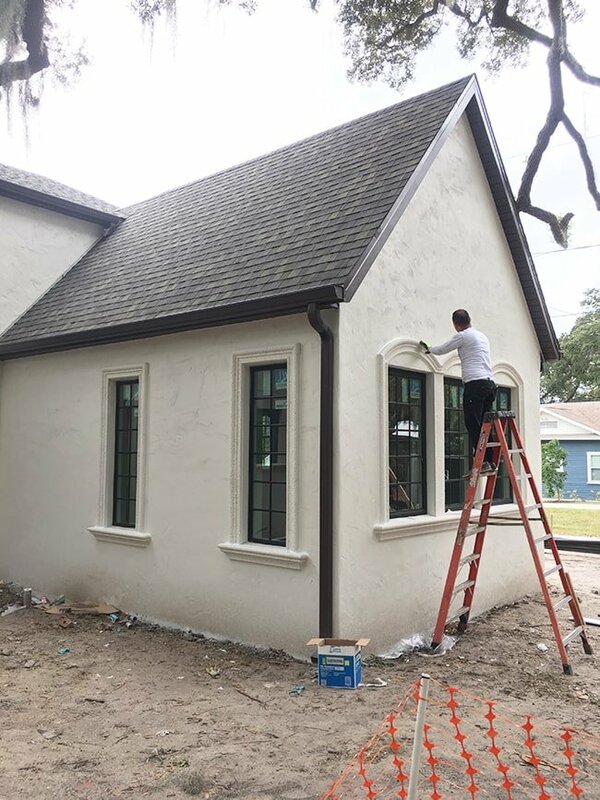 We have to spend extra to get windows like yours 😉 I’ll take a 200 year old French home any day! I have been dying to see what lighting you have chosen for your outside lights around your house. I have been on the hunt for wall lanterns on either side of the garage door and by the front door. Your house is gorgeous btw. I am happy to keep up with your good work. We have our front door lantern ready to be installed, just need to find lanterns for the back patio now!